Back and lay betting is one of the most important concepts in matched betting. 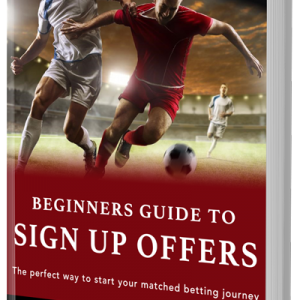 In this lay betting guide for beginners, we’ll cover what back and lay betting is, how to use it in matched betting plus we share our top lay betting tips to help you maximise your profit in 2018. Before we introduce back and lay betting, here’s a short introduction to no risk matched betting for those of you who are new to this concept. Match betting is a way of making money from bookmakers’ free bets, bonuses and other promotions. There are thousands of individuals across the UK and abroad using this technique to earn up to £1000 each month risk and tax free. A few years ago, as online gambling became more appealing and more bookies sprang up, so did the competition in the betting industry. Nowadays, there’s so many different betting companies customers can choose, it’s hard to know which one to go for. The only way for bookies to gain and keep new customers is to offer them incentives to keep them betting. It turns out, some of the larger firms are willing to spend up to £300 to gain a new customer. That’s where matched betting comes in! Bettors take advantage of these free bets and bonuses and make a guaranteed profit in the process. Back and lay betting is the main concept behind matched betting as it allows you to make a guaranteed profit from bookmakers’ free bets and promotions. This concept can be quite challenging for matched betting beginners and some are often unsure as to what exactly back and lay betting is and how it works. That’s why we created this definitive back and lay betting guide in a simple and easy to understand manner. Our aim is to clarify the purpose of back and lay bets and to explain how matched betting works. I suggest you watch the video below for more information on back and lay bets. Betting exchanges are another concept we need to look at before we move on to back and lay betting. Once again, betting exchanges may be a new concept to some. However, if it’s not and you’re already confident with what they are and how they work, you can skip on to the next section on back and lay betting. A betting exchange is an online marketplace where punters can bet against each other rather than against a bookmaker. This allows the punter to act like a traditional bookie and sell a bet, otherwise known as a laying a bet (more on this later). Think of betting exchanges as a place to trade bets, much like you would on the financial stock market. Betting exchanges make their money a different way to more traditional bookmakers in that they charge a commission on a player’s net winnings. This commission varies between different exchanges but ranges from 1.5% to 5%. Typically a betting exchange offer the true market price (odds) where as bookmakers must add their own margin in to the odds making it less appealing for punters. As with any market, for a bet to go ahead, there needs to be a buyer and a seller, similar to that of eBay and Amazon etc. In the betting industry, a buyer is someone looking to back a bet and a seller is someone looking to lay a bet. As you’ve probably worked out, you can place both a back bet or a lay bet at a betting exchange. Matched bettors generally place lay bets at the betting exchange as it allows them to make their matched bets risk free. Now you know more about betting exchanges, let’s look into back and lay betting in more detail. So, what exactly is back betting? Back betting is the traditional and most common type of betting. Most high-street bookmakers are built around this concept so you’ve likely seen or placed a number of back bets in your time. Placing a back bet on a horse simply means you are staking money on it to win. If the horse wins, you win the bet, if it doesn’t win, you lose the bet. The bookmakers set the odds according to how likely they think an outcome is – taking into account the market-price and their own margin, as I mentioned above. If you place a £20 back bet on Horse A at odds of 5.0 (4/1) and the horse goes on to win, you’ll receive £100. Your stake (£20) multiplied by the back odds (5.0). If Horse A didn’t win, you’d receive nothing. If you’ve ever wagered money on the Grand National or Royal Ascot, you likely placed a back bet without even knowing it. Lay betting is comparatively new in the betting world, however, it’s had a huge impact on the industry since Betfair opened the first betting exchange back in 2000 and made lay betting a possibility. Nowadays, there’s more competition in the betting exchange industry although Betfair are still leading the pack in terms of size. Anyway, back to the important stuff. Lay bets are the same as saying an outcome won’t happen. Placing a lay bet on a horse simply means you are staking money on it NOT to win. If the horse doesn’t win, you win your lay bet. If the horse does win, you lose your lay bet. This may seem counter-intuitive but it makes more sense if you look at lay bets as the opposite of back bets. As I mentioned above, lay bets haven’t been around for as long and are certainly less common than back bets, however they’re just as important for success in matched betting. The whole concept is that matched bettors play the role of a traditional bookie and sell a bet. Lay bet: England will NOT win the Rugby World Cup in 2019. Back bet: Leicester City will win the Premier League next year. Lay bet: Leicester City will NOT win the Premier League next year. As I mentioned above, lay betting is the opposite of back betting. The tables below shows a comparison between back and lay bets. If Horse A wins, your back bet will win and your lay bet will lose. If Horse A doesn’t win, your back bet will lose and your lay bet will win. When you’re first starting out, it may be a good idea to print off the table above so you can familiarise yourself with the back and lay betting process. For almost every matched betting offer you complete, you place two bets. One back bet and one lay bet, on the same market. In this scenario, one of the two bets will always win and one will always lose. By using this back and lay betting strategy, your two bets effectively cancel each other out making matched betting completely risk free. There’s usually a small price difference in the back and lay odds for a given market. You can see the back odds are 3.25 in the first screenshot and the lay odds are 3.35 in the second screenshot. A small discrepancy like this is quite typical. There are a number of different lay betting tips and tricks you can use to increase the profitability and success of your matched betting. Our number one lay betting tip is to pick a market where the back and lay odds are close together. The tighter the odds, the more money you make. This has a significant impact on the profitability on your matched betting in 2018. If the back odds were 5.3 at the bookmaker, you should look for lay odds around 5.4 at the betting exchange. Any greater and you’ll be losing valuable profit from the offer. Ultimately, you should look for lay odds that are lower than the back odds. This would allow you to make a guaranteed profit during your qualifying bet without using a free bet. However, these markets are very rare. Since there’s a small difference in price between the back and lay odds, you usually lose a small amount of money when placing your qualifying bets. As a general guide, we suggest you aim to lose no more than 5% of your overall back stake when completing qualifying bets. So for a £10 back bet, you don’t want to lose any more than £0.50. If this is the case, I suggest you move on and look for another market to place your back and lay bets. Similarly, you should aim to extract at least 80% of a free bet in cash. If the odds don’t allow you to do this, look for tighter back and lay odds. You can work out the exact numbers using our lay betting calculator (more on this below). Our second lay betting tip is to always place the back bet first. I can’t stress the importance of this tip enough. The main reason; when and if you make a mistake using the lay betting calculator or you enter the wrong figures into the betting slip etc. By placing the back bet first, you have a greater chance of salvaging the situation. There’s more scope for recovering. For more information on common mistakes and how to avoid them, check out this article. The lay betting calculator is one of the most important tools for matched betting. Matched bettors use this tool to work out the exact loss, overall profit, liability and pretty much everything else in order to complete their matched bets. For more information on how to use the lay betting calculator, head to the tool itself. Not sure how to place a lay bet? Not a problem, follow the simple process below. It’s really that simple and very similar to placing a back bet. Liability is another important consideration before placing any bets. This is the amount of money you need to have in your betting exchange account to cover any potential losses. In other words, it’s the amount you stand to lose (at the exchange) if your lay bet loses. However, you’ll win this amount back at the bookmaker using back and lay betting. Our lay betting calculator works out this information for you. That should give you a better idea of what back and lay betting is and why it’s so important for matched betting. It’s certainly the most important concept to get your head around before you start placing any bets and one that I suggest you spend some time on. I recommend you take your first few matched betting offers slowly until you’ve got the process nailed. In the meantime, if you need any help let me know by leaving a comment below.